No wonder the evolution of gadgets in our lives have been none less than a blessing! But as they say all good things come with an expiration date. The same goes with our dear gadgets as well. Over time and with prolonged use they start wearing out gradually. The most common example to state this fact is our Android Smartphone. Don’t you think its performance have been slowed down over time? Wondering how to boost Android phone’s performance and start afresh? This quick guide compiles 4 effective ways to speed up your device and boost its performance significantly. Let’s discuss about each one of them in detail. Clearing the app cache of your Android device can considerably boost its performance. Follow these quick steps to clear the cache data from your device. Head on to settings and tap on Storage. Look for the “clear cache” option to get rid of cache data instantly. Yeah, no doubt animations make our Android phone look smarter and more interactive. But if you’re experiencing a lot of troubles with your Android phone’s speed, then disabling animations might be a great advantage. Head on to Settings and tap on “About Phone”. Now move on to Developer options window by tapping the Android build number 7 times. Head back to settings and tap on “Developer options”. From the available list of options select “Window Animation Scale” and then tap on “Animation OFF” button. Just like clothes, an app which we haven’t used in a year or so if of literally no use! And even if you still want it back in future you can anytime get it back from the Play Store. But why to waste precious storage space on your device, right? 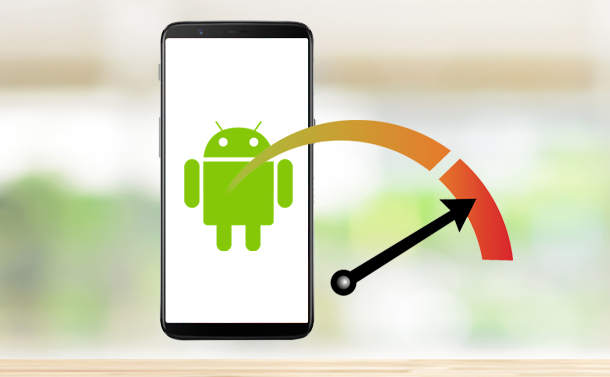 If your Android device is showing multiple signs of slowing down and degraded performance then you can lighten up the storage space by removing few unused applications from your device. Head on to Settings and then go to Apps. Tap on the app’s name which you wish to uninstall from your device. Hit the Uninstall button and select OK to confirm. Repeat the same set of steps for all the apps which you wish to offload for a certain period of time. Widgets are undoubtedly one of the most awesome features of Android OS. They provide a better ease of access to use where we can launch all our favorite applications right from the home screen. Not just they save our time but with the help of this shortcut we are also saved from the overhead of searching for a particular application from the list. But sooner or later when an Android device starts slowing down, we can remove certain widgets to enhance our device’s performance. Come to the home screen and navigate to the screen where you have placed all your widgets. Now long press on a certain widget which you wish to remove from your device. Drag the Widget to “Remove” section and then release. So folks, here were the 4 effective ways to boost your android device’s performance significantly. If you have any other queries or feedback feel free to hit the comment box below! But if you don’t wish to take the long way and like shortcuts, you can download Systweak Android Cleaner app on your device. It one powerful android cleaning app that can boost your Android’s device performance within no time. It helps in taking care of junk files, duplicate files, enhance your phone’s battery life, and much more. If you have any other queries or feedback feel free to hit the comment box below!